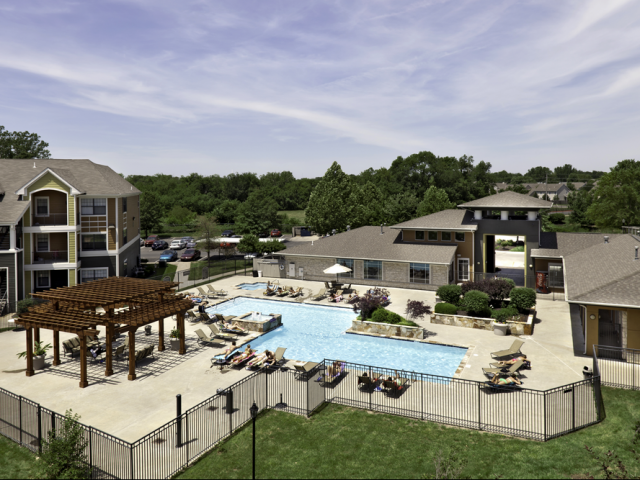 For the best Lawrence, KS student apartments the city has to offer, look no further than The Reserve on West 31st. Conveniently located near the University of Kansas, as well as Baker University, Haskell Indian Nations University, Johnson County Community College and Washburn University, The Reserve has fully furnished apartments with free Internet, cable/satellite, and full-size washers and dryers. Plus, all utilities are included in rent except electric. Choose from spacious floor plans with 3 bedrooms and 3 bathrooms, 4 bedrooms and 2 bathrooms, or 4 bedrooms and 4 bathrooms. Enjoy a variety of amenities designed to keep you working hard and playing harder, including a computer lab with free printing, a 24-hour fitness center with weights and cardio equipment, and basketball and volleyball courts. Relax by our resort-style pool or barbecue with friends using our community grills— or both! And rest easy knowing that we provide 24-hour emergency maintenance services and an after-hours security patrol. Schedule a tour of The Reserve by contacting us today. Once you see our community for yourself, we’re confident there’s no place else you’ll want to call home!